Health is a human right. On this day in 1948, the first World Health Assembly was held in Geneva, Switzerland. Since then the World Health Assembly decided to celebrate 7th April of each year with effect from 1950 as the World Health Day. My focus in this article will be on health literacy and helping people make their own health choices based on knowledge. Everyone has a role to play in Health for all. The theme for this year's celebration is Universal Health Coverage. Universal health means that all people have access, without any kind of discrimination, to comprehensive quality services, wherever they need them, without facing financial difficulties. It requires the definition and implementation of policies and actions with a multisectoral approach to address the social determinants of health and promote the commitment of the whole society with health and well being. Take care of your health and the health of your family. 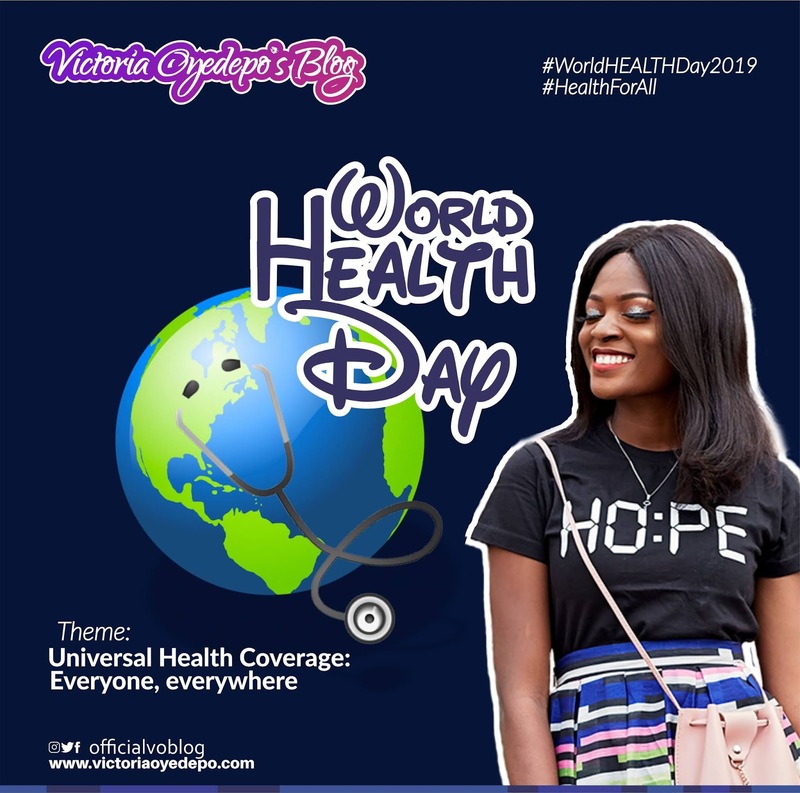 The World Health Day is held to mark WHO's founding and is seen as an opportunity by the organization to draw worldwide attention to a subject of major importance to global health each year. During one of my numerous travels, inside a bus filled with over twenty passengers, there was a mobile doctor. He spent more than an hour talking about the implications of our daily intake which he stated clearly is filled with sugar, genetically modified, highly processed, pesticide-ridden food and how it is responsible for our epidemics of obesity, diabetes, heart disease, and even cancer. A lot of people still do not see the link between diet and health. As absurd as it might sound, this man was contributing his own quota to the society. He enlightened the passengers about their health even if at the end he had some herbal drugs to sell. I was really impressed with his move because according to him he does that once or twice each week for four hours before he returns back to his clinic. The higher your energy level, the more efficient your body. The more efficient your body is the better you feel and the more you will use your talent to produce outstanding results. 1. 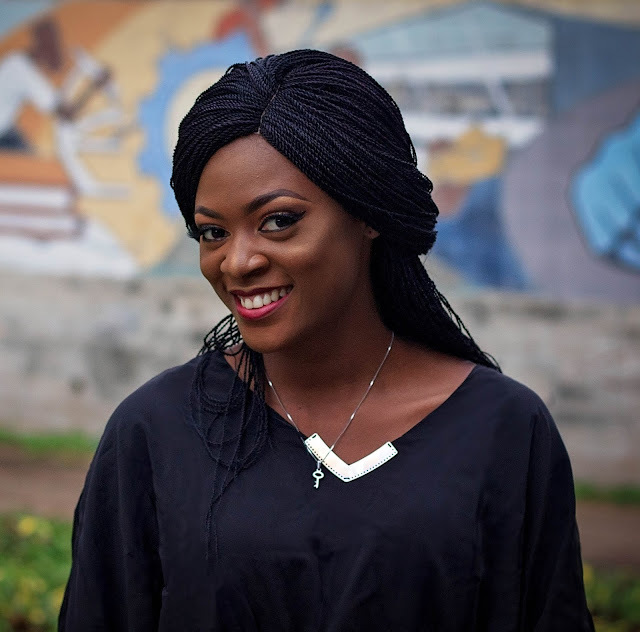 More awareness about primary health care and how it can cover the majority of a person’s health needs throughout their life including prevention, treatment, rehabilitation, and palliative care. SEE ALSO; The mystery behind tea and its health implication and nine ways to turn it into an impressive drink. What happens when people cannot obtain the health services they need? Nine things to know about eating Fruit which is a good supplement for the body. 6. Coconut and avocados are the only fruits with fat. Most fruit is fat-free because the calories come from carbohydrate. Two notable exceptions are coconut and avocados, which derive most of their calories from fat. Today I also celebrate every health worker who is striving hard to provide good health care to people. 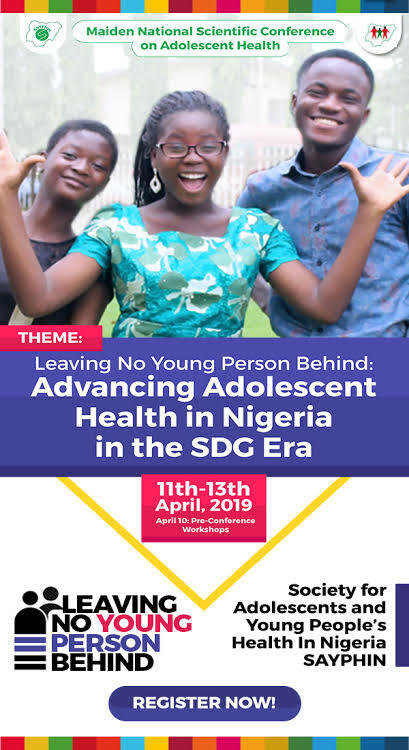 Society for adolescent and young people's health in Nigeria (SAYPHIN) is organizing its first national conference on adolescent health and development at the Otunba Subomi Balogun Conference centre, University of Ibadan, Nigeria. 9am-5pm. Click here to register. Tickets are available on Here . I will be there, so is it safe to say, see you there? 6. Young professional mentoring and network building sessions. I will also enjoin you all to not let the information you have read stop here. Engage people with the right information. Spread the word (word of mouth spreads faster). Irrespective of your chosen field, be it Fashion, Engineering, Photography, Teaching, Catering, Event Planning, Accounting amongst others, do not let it limit you.